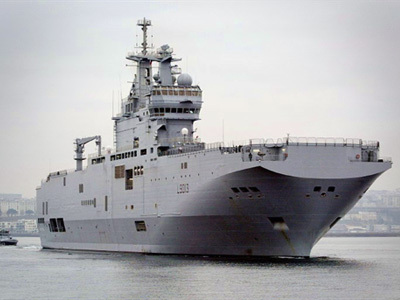 Russia and France have signed a preliminary contract for four Mistral-class amphibious assault ships. 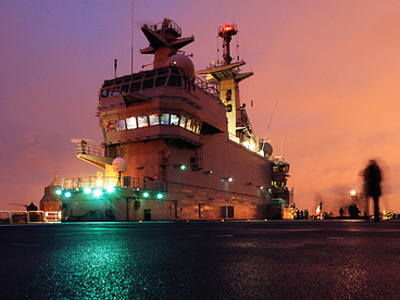 The deal was sealed by Russian Deputy Prime Minister Igor Sechin and French Defense Minister Alain Juppé at the STX shipbuilding facility in France, where one of the ships is currently being built. The documents however are only preliminary. Moscow and Paris are yet to agree on particular terms, such as the sum of the contract and delivery times, Sechin told the media. The final document will be signed in a few months, he added. Earlier the head of the Russian Joint Shipbuilding Company, Roman Trotsenko, told Interfax that each subsequent ship will have a greater part of Russian equipment installed. The first two, which will be built in France, will comprise 20 per cent and 40 per cent Russian parts respectively. The two to be built in Russia will have 60 per cent and 80 per cent respectively. 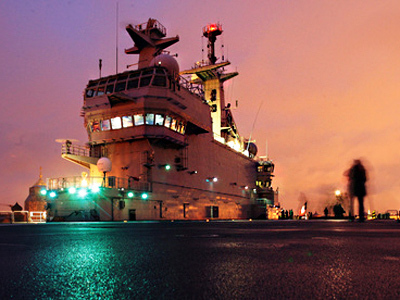 The first Mistral may be delivered as soon as late 2013. It is likely to become part of the Russian Pacific Fleet with base in Vladivostok, according to Navy sources. The second ship is expected to join the Northern Fleet.